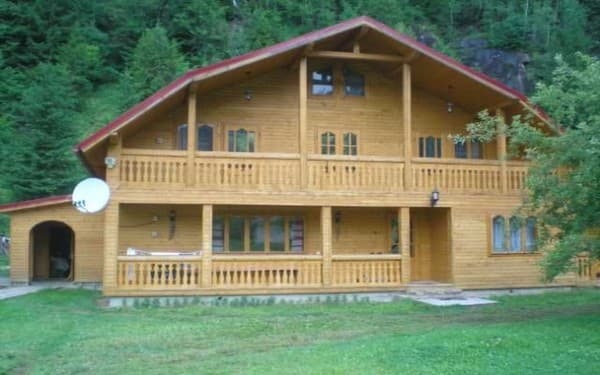 Private estate "Pid skleju" is located in the center of. Krivorovnya, 4 km from the center of Verkhovyna. 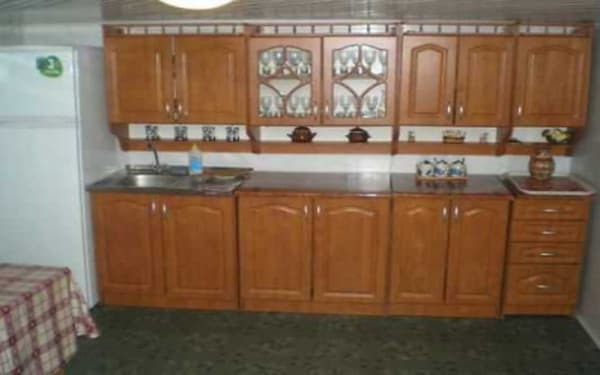 There is a 2-storey house for 6 rooms. On the ground floor there is a sitting room (fireplace on the wood, folding sofa, TV), 2-bedded room (double bed, wardrobe, TV), dining room (table with chairs for 14 people), kitchen (gas cooker, sink, electric kettle , microwave oven, necessary utensils), bathroom (toilet, washbasin, shower, towel dryer, washing machine). 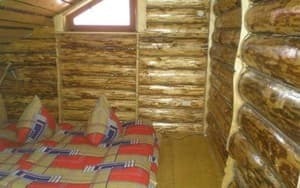 On the second floor of the manor "Pid skleju" - 3 double rooms (double bed, wardrobe, TV), 2 triple rooms (double and single beds, wardrobe, TV), bathroom (WC, shower, bidet, dryer for towels). 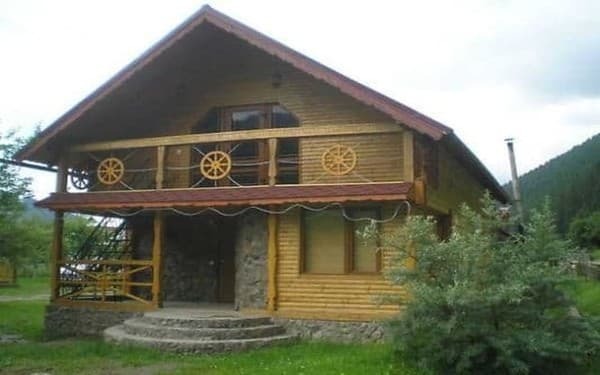 On the territory of the cottage there are parking, sauna, billiards, barbecue. The hotel has the option of catering according to agreement. PRICES MAY CHANGE, YOU NEED TO UPDATE THE OPERATOR'S INFORMATION! 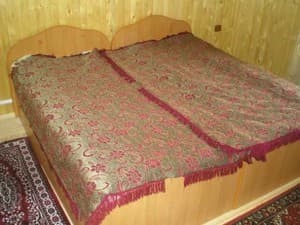 Описание номера: 2-bedded room on the 2nd floor (double bed, wardrobe, TV). 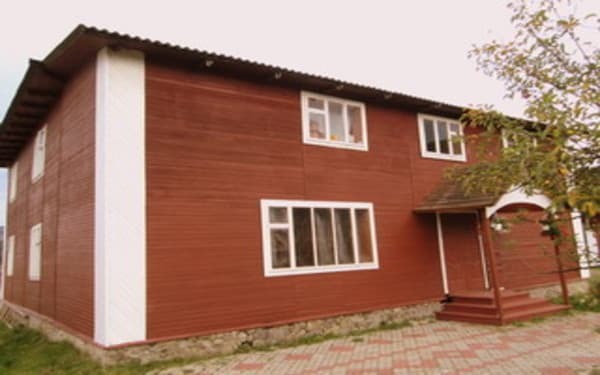 Описание номера: On the 2nd floor are triple rooms (double and single beds, wardrobe, TV), bathroom on the floor (toilet, washbasin, shower, bidet, towel dryer). 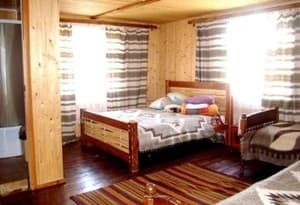 Description of the room: Cozy cottage for 14 people. Children under 6 years without an extra seat are free of charge, for children from 6 to 12 years - a discount of 50%. On the territory of the estate there is a grocery store, a ski run 4 km (in Verkhovyna), the nearest ski lift in Iltsy village is 7 km away. The nearest café "Zgarda" is 2 km away. Public transport from Ivano-Frankivsk to the village. 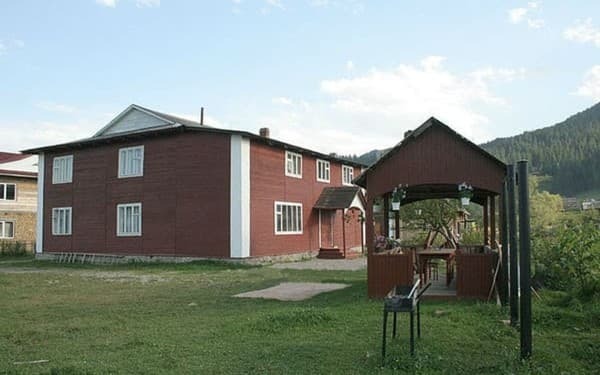 Verkhovyna by bus or by shuttle bus, in the center take a taxi or minibus to the village. Crooked. By car on the highway P-24 to the center of. Crooked. We advise to agree on a meeting with the owners.